Firstly, I would like to thank the GSGS and the steering committee for funding my start-up proposal. 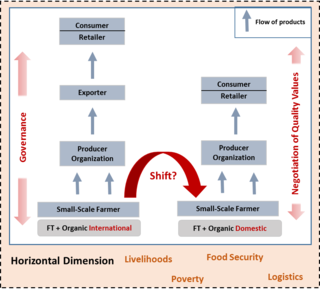 During the highly informative last five months, I conducted preparatory work for a DFG-project proposal (3-year funding period) on ‘Livelihood strategies of Indian smallholder farmers between global and domestic value chains for organic and fair trade agri-food products’, in close cooperation with my supervisor Prof. Dr Boris Braun and the proposal applicant, Dr Amelie Bernzen. This project is still in its initial phase. During the first two months of funding, we prepared the theoretical framework and empirical instruments by studying relevant literature on conceptual issues, databases and articles. Since, we have continuously been looking for and strengthening contacts with project partners, possible interview partners etc. and conducting principal interviews to discuss general changes within the institutional environment and the domestic market of agricultural products in India. In February, for example, I attended the largest global organic trade show, BioFach 2015, in Nurnberg, getting in touch with important international cooperation partners (e.g. IFOAM or Fairtrade International). Moreover, we discussed the project outline with researchers from Germany, Australia and India who are willing to support our project e.g. by helping us to identify suitable case study areas for intended household surveys among small-scale farmers of agricultural products. In March and April, the last two months of the funding period, we developed further our project ideas and wrote major parts of the DFG-application. It will be submitted by May 2015, and I hope to start working on the project from November 2015 if it is approved, aiming to write my PhD thesis on a related topic. Proposed PhD project: "Livelihood strategies of Indian smallholder farmers between global and domestic value chains for organic and fair trade agri-food products”"